For our day tour around Songkhla today, we booked a private car from our hotel for 3000 baht (9.30am to 6pm). 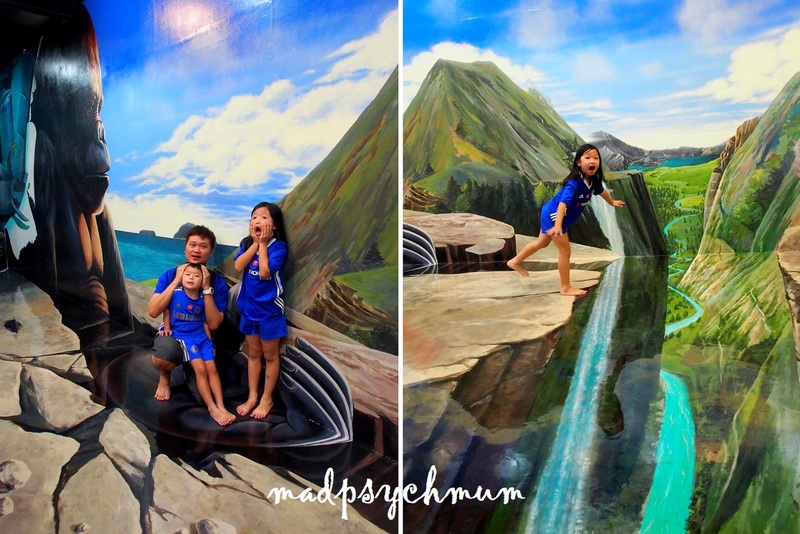 Our first stop was the Magic Eye 3D Museum, approximately 10 minutes from Centara Hotel. 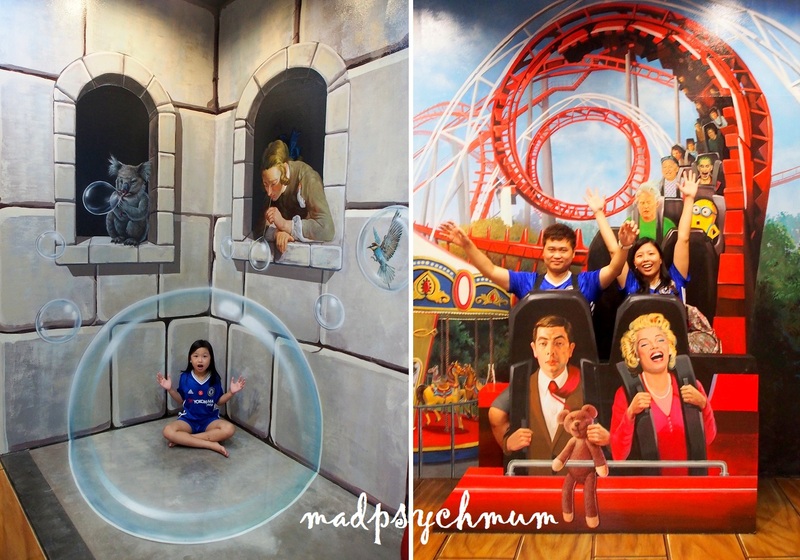 The Magic Eye 3D Museum also houses a magic show performance, which you can purchase as a 2-in-1 ticket. We decided to get the ticket without the magic show at 400 baht per adult. 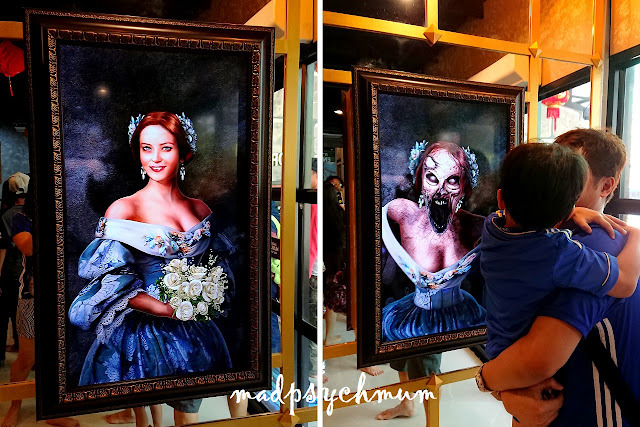 This interactive TV screen freaked the hell out of my boy when it went from pretty to scary ugly in just 1 minute! Magic Eye 3D Museum has the same concept as Trick Eye Museum, which we had visited at RWS 3 years ago. Visitors get to be part of and take pictures with the 3D art. Initially we couldn't take many photos as there was a large crowd of people blocking us. However, it was soon time for the magic show to begin so everyone headed for the theatre, leaving the museum empty for us to take pictures freely with no obstruction! Best decision to not go for the magic show! Right: Sitting on a roller coaster with Mr Bean & Marilyn Monroe. Love this picture of our family! So colour-coordinated! Right: OMG there's a dinosaur! Right: Balancing at the edge of a cliff! My favourite back drop! So fun! After we had enough fun with taking pictures, we headed to the next destination, Chang Puak Camp. 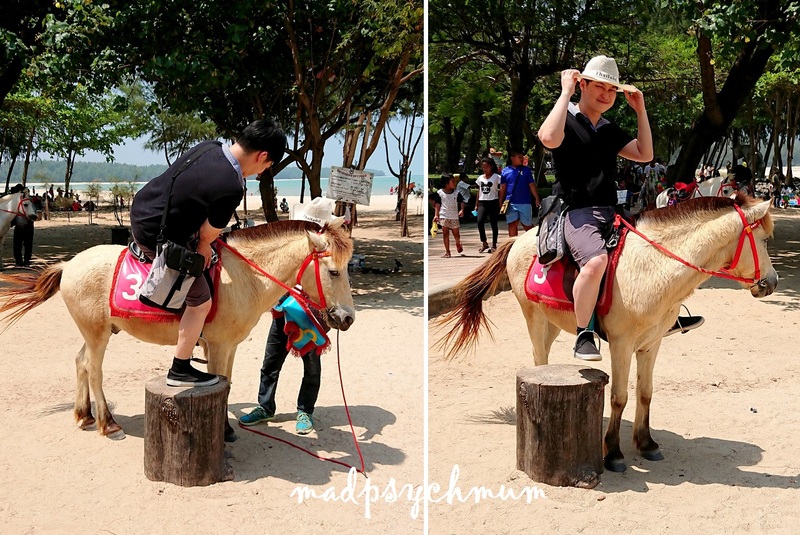 The bro- and sister-in-law wanted to ride the Elephant at 500 baht per person but the queue was simply too long (1.5 hours!!). 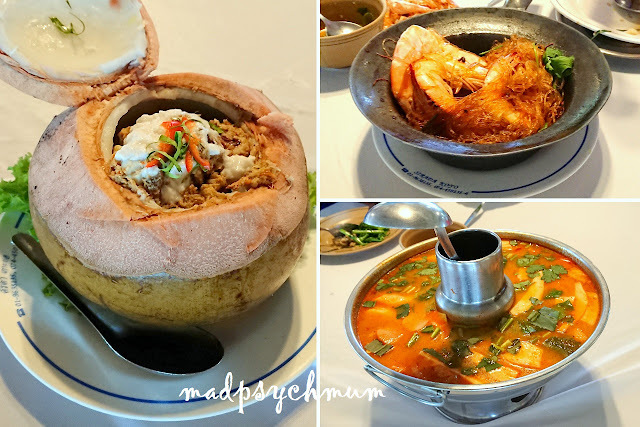 The price was also way too expensive as compared to Phuket (read about our experience in Phuket here). 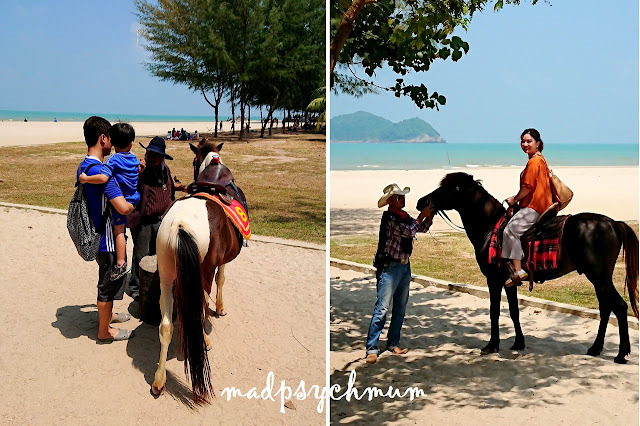 We also found the ATV rides at 500 baht per person way more expensive than Phuket. We thought that our time would be better spent at our next destination. We travelled for about 20-30 minutes to get to Tang Kuan Hill. 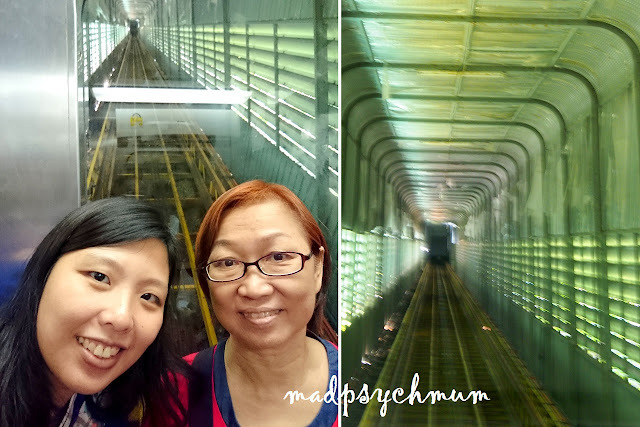 Similar to our experience riding an inclined train to the peak of Penang Hill, we had to ride an Inclined Lift to the top of Tang Kuan Hill. 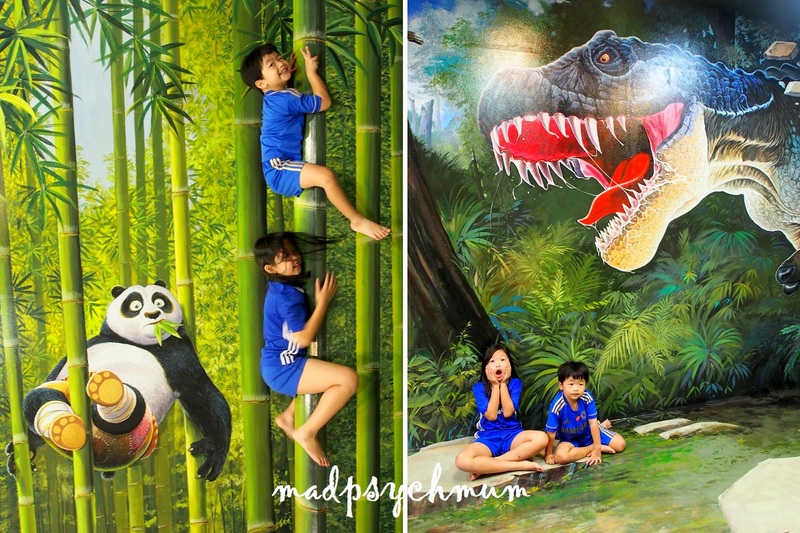 It only cost us 30 baht per adult and 20 baht per child below 120cm (children above 120cm are considered adults). At the top of Tang Kuan Hill, we were greeted by beautiful views of Songkhla. 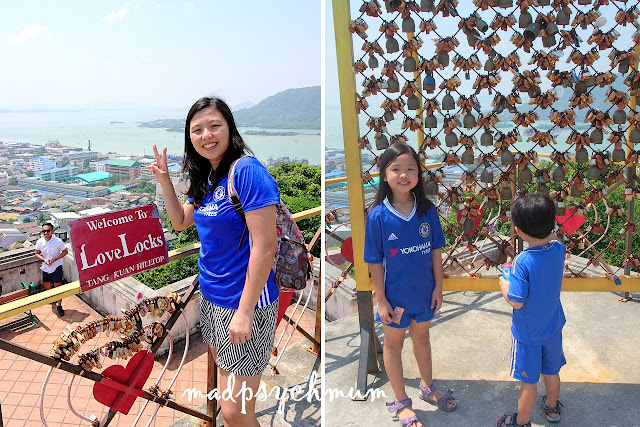 Tang Kuan Hill is also famous for the Love Locks, similar to the Love Padlock Trees we saw at Mt Namsan in Seoul. The concept of Love Locks is simple. Two persons pledge their love, secure their lock and throw away the key to symbolise that their love will last forever. You would have to bring your own locks as no one seems to be selling any. Perhaps because no one is bothered with hanging locks either! You can also ring the 'Love' bell! The heat from the sun made it unbearable to stay too long at the summit so we headed back down to the ground. An ice cold ice-cream is exactly what we needed on a hot day like this! We travelled to nearby Songkhla City to visit the famous Samila Beach. There was horse-riding by the beach at 150 baht per person! Initially we wanted the kids to try it but they were too scared to ride alone (only 1 rider per horse). In the end, only the in-laws went because they have never tried it before (hubby and I had done it previously). 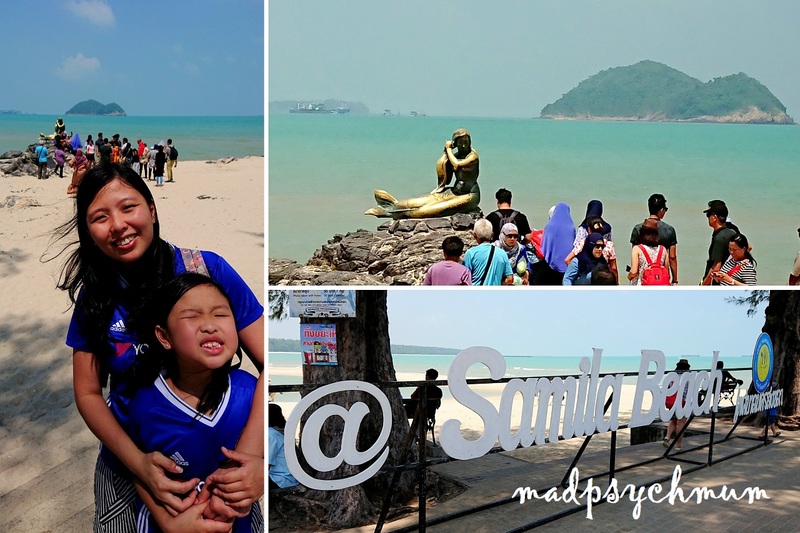 After they had returned, we went to check out the Golden Mermaid Statue, the main tourist attraction of Samila Beach and Songkhla City. There were so many people crowding around the statue that we decided not to take a picture up close! After shopping around the area, we decided that it was time for lunch. Our driver highly recommended Sirada Restaurant, complimenting it to be the best seafood restaurant in Songkhla! My boy was grumpy because he was forced to take this photo while he was hungry haha! 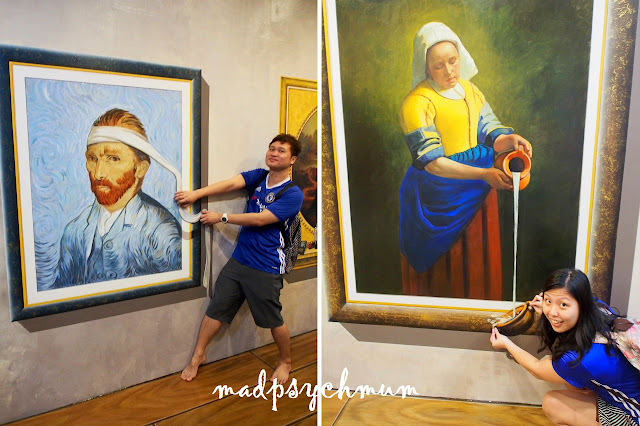 We had wanted to visit another museum but a last minute emergency took up some time and we had to forgo the museum visit. Our driver suggested that we visit Klong Hae Floating Market instead as it was on the way back to our hotel. 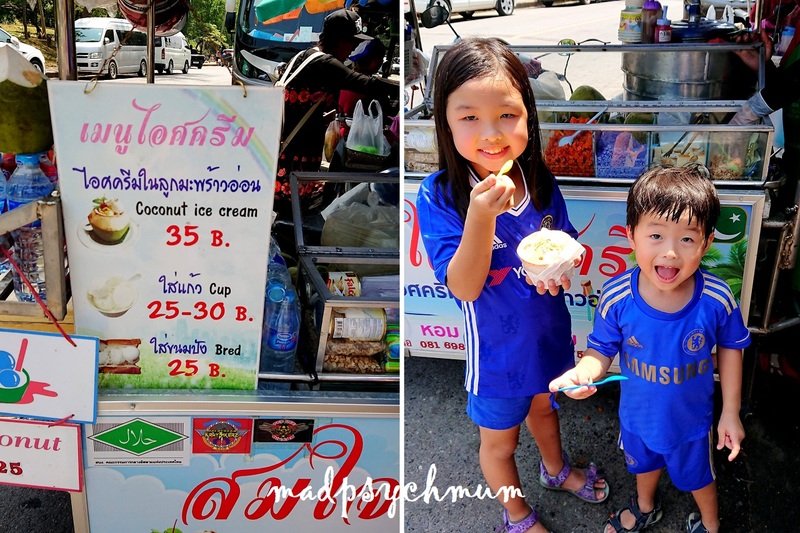 Although we had already visited the floating market the day before, we decided to heed the advice of our driver and visit again since the bro- and sister-in-law has not visited yet. We ended the day with yet another seafood meal at The Nest, the same restaurant as the day before.